We are a friendly, patient bunch of IFMGA guides with a great depth of experience between us, spanning Europe and most of the major mountain ranges in the world. In the winter season we are dedicated ski tourers and backcountry skiers with a wide ranging knowledge of European touring regions beyond our seasonal base in Chamonix. Many of us also have a teaching or instructional background, which allows us to deliver clear and well structured coaching and skills based courses. Take a look through our social media and images to see the depth and variety of ski guiding we undertake, each and every season. We simply love spending time in the mountains and we hope to share some with you soon. Al deals with the company website and social media accounts, so is responsible for most of the photo and video content that we produce. He has lived in the mountains his whole life, both parents having been keen Alpinists. In his personal climbing he has concentrated mainly on winter alpinism and expeditions, having climbed several cutting edge new routes around the world during the course of 20 expeditions to the Greater Ranges. He has also kept up a running career, with highlights including winning the Elite course on both the LAMM and OMM Mountain Marathons and being the first Briton to run the Tour du Mont Blanc in under 24hrs (102ml & 9000m ascent – that hurt!) More recently he has moved back to orienteering, having won the Veteran Home Internationals for Wales and numerous night orienteering races. 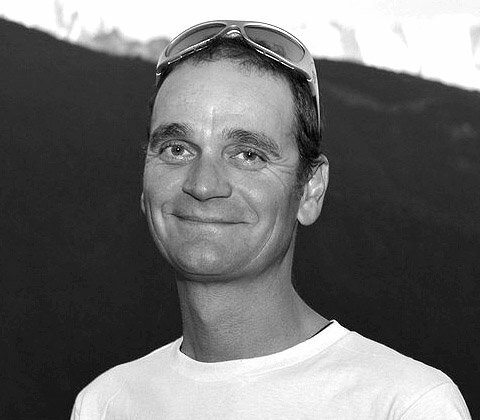 In the winter months he heads up the Alpine Guides ski mountaineering program and in the summer works in the Alps directing trips and courses for Alpine Guides. The rest of the year, he lives in Yorkshire with his wife Sima and their family, where he maintains the company website, whilst trying to spend as much time bouldering, running and riding bikes as possible. 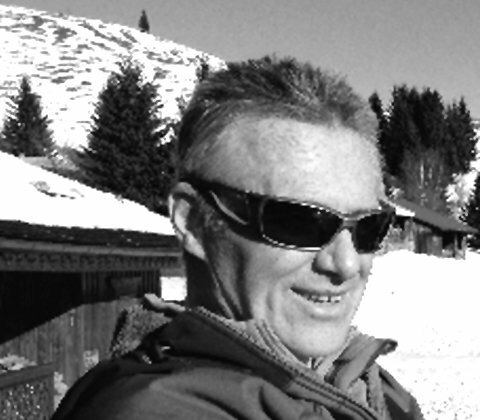 Rich runs the company on a day to day basis, so is well known to everyone as a key point of contact with Alpine Guides. He has been climbing for over 25 years, loving every apsect of the sport from bouldering right through to winter Alpinism, and has travelled the world pursuing his passion for the sport. Earlier in his climbing career he went on many expeditions to the Greater Ranges, which included the first ascent of Ama Dablams NW ridge, for which he was nominated for the Piolet d’Or. In the winter season Rich specialises in ice fall guiding, Scottish and Norwegian winter climbing, and winter Alpinism. 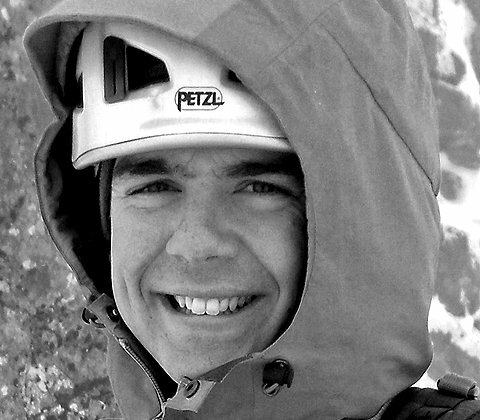 During the summer he loves exploring different regions of the Alps especially if it involves classic alpine rock routes, mixed climbing and north faces – some highlights of his guiding career include the Croz Spur on the North face of the Grand Jorasses, the North face of the Piz Badile, North face of Les Droites, and the West Ridge of the Salbitschen. He also spends each spring and autumn in the UK guiding in the Peak District, Wales, the Lakes, Ireland and the Scottish Highlands, and time on the road bike or personal climbing whenever he can! Rich lives in Sheffield with his wife Liz and their young boys Sam and Charlie who also love the outdoor life. Undoubtedly the most efficient member of our team, Dee keeps the show on the road during the autumn, winter and spring – booking huts, making payments, liasing with our hotels and transfer companies and a huge range of other essential admin tasks. A brilliant organiser and fixer, she provides logistical support to our guides on the hill, so they can concentrate on guiding and keeping you safe and enjoying your trip. 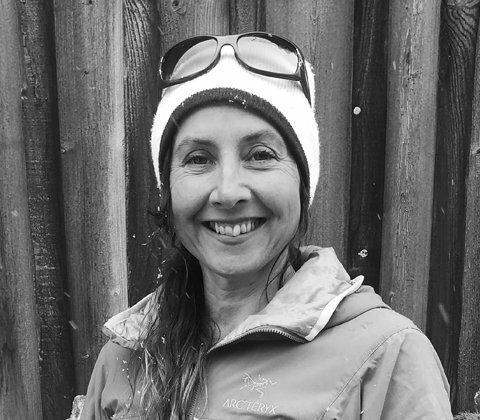 Married to a British Mountain Guide, our old friend Si Abrahams, she speaks fluent french and a number of other languages and is a keen skier and outdoor enthusiast. Dee lives in the Chamonix Valley with husband Simon and their two teenage daughters. Mark lives in Aviemore where he spends half of the year working for Glenmore Lodge, Scotland’s National Mountain centre and the rest of the year guiding in the Alps. 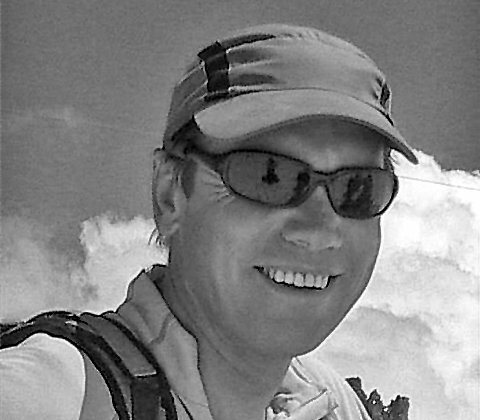 Mark has worked at both UK national centres and as well as being a UIAGM guide, he is also an MIC, Kayak Coach and Ski Instructor with a wealth of teaching and coaching experience. 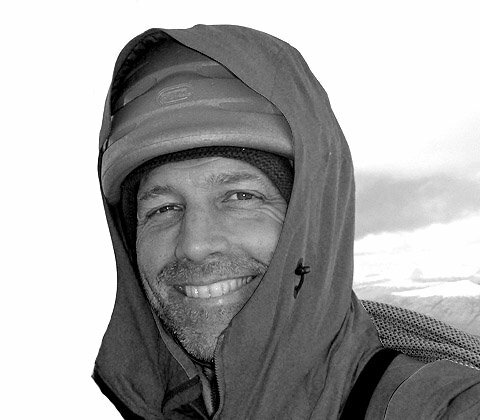 Mark loves every aspect of his sport, from the Scottish winter climbing on his home patch, highland rock climbing to summer alpinism and is also a very keen ski tourer with experience across many different areas of the alps. Well known for his positive attitude and personality, Ric started climbing as a teenager and since then has skied, climbed and snowboarded all over the world. He’s been working as a mountaineering instructor and mountain guide since the early 90’s, including a number of years living and guiding full time in the Alps. Nowadays, he divides his time between working all over the place as a backcountry ski and snowboard guide in the winter, alpine guiding in the summer and rock guiding from home in North Wales. 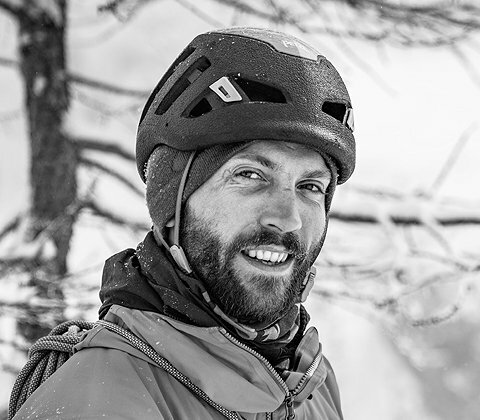 Originally from Manchester, Gav has been based in Chamonix since 2007 – many of Gavin’s early climbing forays were made on the gritstone edges of the Peak District and the sea cliffs of North Wales. Adventures in Scottish winter climbing created an affliction for enjoying icy north faces, a condition that eventually landed him a few years ago in his current home of Chamonix, where he works as an IFMGA Guide. As well as skiing and climbing, he also enjoys trail running and other mountain sports, his biggest motivation coming from the adventurous aspects of spending time in the mountains. In the off season he climbs in bigger mountains around the world, recent highlights including new-routing trips to Alaska and Nepal. In the future, he looks forward to continuing to ski, climb and guide in the mountains above Chamonix, as well as in some of the more remote regions of the planet. Winner of the Piolet D’Or in 2007 for his ascent of the NW Face of Chomolhari (7326m) in Tibet with Marko Prezelj, Lori is a world class alpinist and mountain guide. 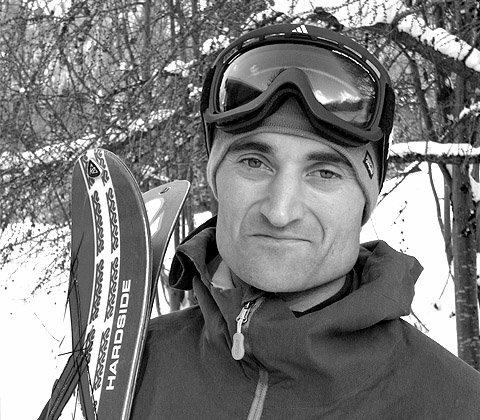 Based in Maribor Slovenia, where he lives with his family, Lori guides on skis in both the Eastern and Western Alps each winter. 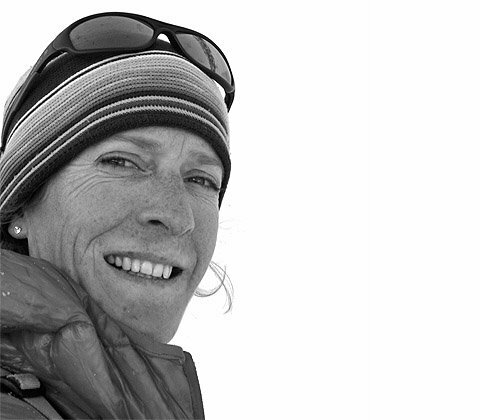 A leading exponent of free, alpine style climbing with minimum equipment – Lori has pushed the limits, putting up several new routes in the Himalayas, North America and Patagonia over the last 20 years. Bringing the same work ethic to his professional guiding as his personal mountaineering, he is diligent and incredibly fit, but also an inspiring teacher and mentor – with an incredible breadth of experience to share. 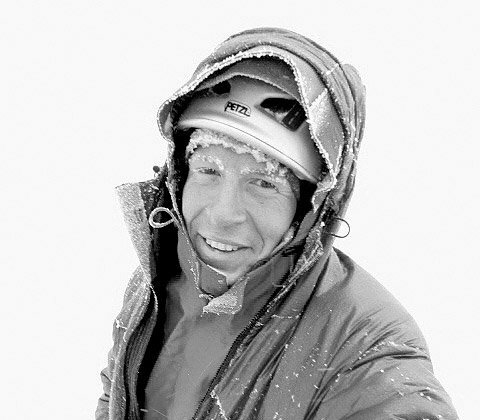 John has been climbing and skiing from his early teens, initially gaining experience on classic UK rock, ice and winter climbs, he has spent the last 17 Years climbing and skiing extensively throughout the world, including ascents in the Himalayas, south America, European Alps and North America. He has completed numerous first ascents from huge granite faces in Patagonia to dramatic virgin summits of the Himalayas, as well as classic test pieces such as the Eiger North face. 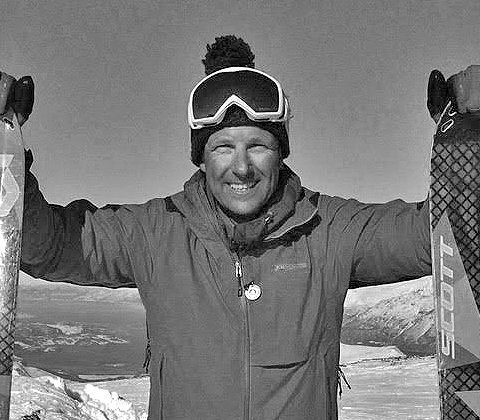 A passionate skier, John has skied big mountain lines in Canada and extensively throughout the Alps. Ian grew up in the Lake District learning to love the mountains with his parents. He started climbing at 7, where he managed to loose a climbing boot half way up the climb, but continued and finished the climb anyway. Life took Ian to the USA (via New Zealand) where he qualified as an IFMGA guide through the American Mountain Guides Association. 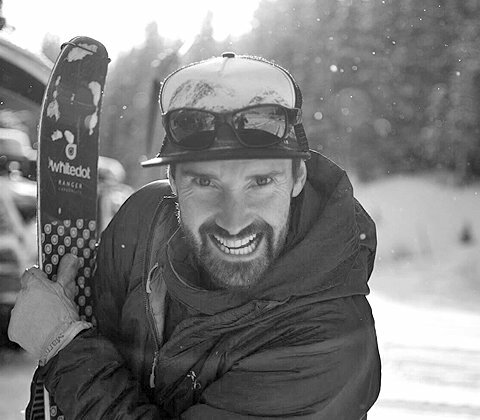 Over the last 10 years Ian has been working as a guide in Colorado enjoying ski guiding the low density powder of the Rocky Mountains, perfect granite cracks and specializing in Avalanche Education, before moving back across the pond to guide in the European Alps. 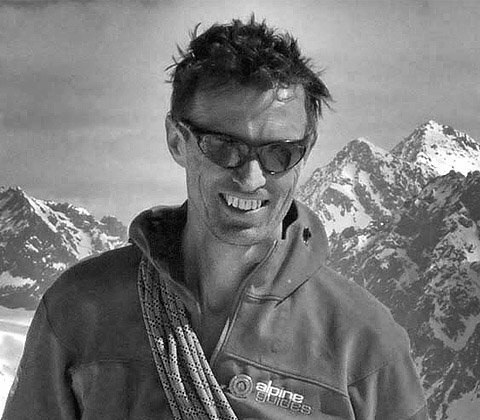 Ally was born in Fife in Scotland and learnt the essential skills for skiing and climbing from his father; then at the age of 20, moved to Chamonix where he has lived ever since. Living in the Alps allowed him to develop a broad range of skills to access the mountains, ultimately leading to a career in guiding. A keen rock climber, he also enjoys a big North Face Sufferfest once in a while – having climbed in Norway, Yosemite and Patagonia, as well as numerous hard modern classics in the European Alps. 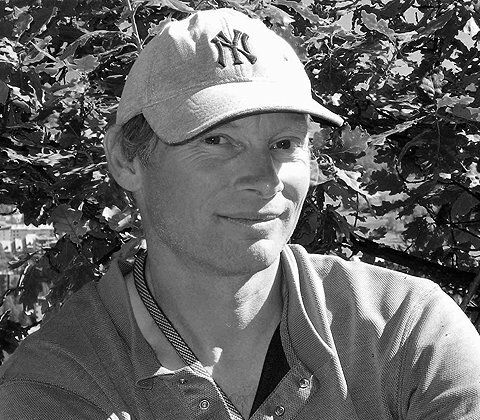 Simon is an IFMGA Guide with over 30 years experience climbing and skiing in mountain ranges all over the world. 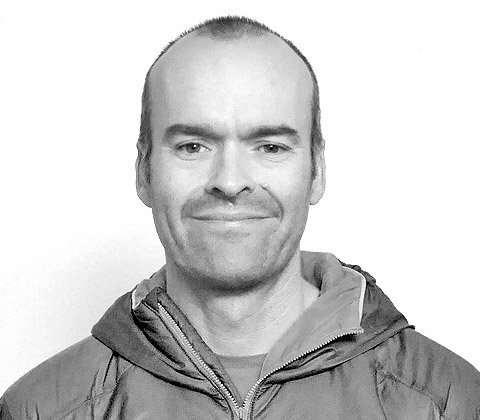 He has worked at Plas y Brenin, the UK National Mountain Centre, as a Senior Instructor and also has a degree in outdoor education and environmental science, as well as diplomas in ski instruction. Well known for his dry sense of humour, he ‘s a good guy to spend time on the hill with and has an excellent breadth of knowledge in many areas. On ski weeks he’s also a qualified instructor, so can probably bring your ski technique along a bit too! 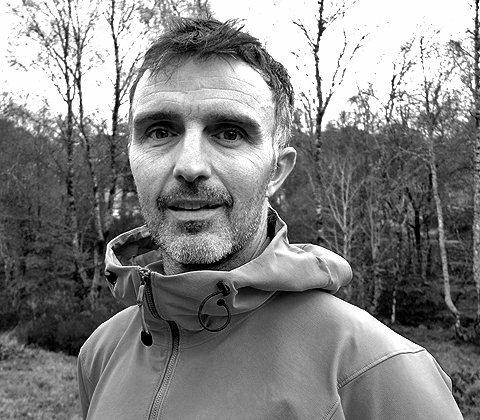 In another aspect of his professional life, Simon is the training director of the British Association of International Mountain Leaders (BAIML), overseeing training and assessment of international walking tour leaders in the Uk. Simon splits his time between homes in the French Alps and North Wales, where he works and guides year round. Nowadays he balances his time guiding in the UK, Alps and beyond, with personal trips that have stretched as far west as America and far to the East in India. His favourite aspect of guiding is seeking out new terrain and sharing them with friends, guests and anyone else who wants to join in. Mark is a super enthusiastic guide (and in life generally!) who succesfully blends two very contrasting roles into his professional life. In the Alps, he works on skis in the winter and does climbing work in the summer – whereas in the UK, he works as Mountain Training England’s Development Officer. Since his first adventures in North Wales as a teenager, Graham has gone on to climb and ski in North and South America, Asia, Australasia, Africa and Europe, becoming an International Mountain Guide (IFMGA) in 2001 and still loves it! Well known for his experience, professionalism and easy going manner, Graham spent many years working as a Senior Instructor at Plas y Brenin (the national mountain centre ) introducing novices to the mountains and helping experts improve. Currently he spends the winters skiing and ice climbing in Europe and the summers mountaineering and rock climbing. Jon is one of Britain’s foremost alpinists having climbed some of the hardest routes in the Alps and established several new routes in Alaska, Greenland and the Himalayas with both Rich and Al amongst others. Outside the guiding season, he mixes family life with personal climbing and works closely with his sponsors, being involved in design work, brand promotion and product testing. 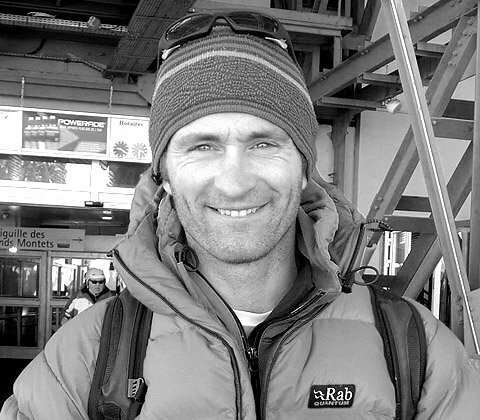 Kenny is a friendly and enthusiastic IFMGA Mountain Guide, based between Scotland and the Chamonix valley. Originally from Fort William in the West Highlands of Scotland, Kenny cut his teeth climbing and skiing on the local mountains of Ben Nevis and Glencoe before going on to climb throughout the UK, North America, Norway and extensively in the European Alps. On skis, Kenny’s passion for powder skiing and touring has taken him to Canada, America and all around the European Alps, where he has good knowledge of the Mont Blanc Massif, the Ecrins, Uri Alps, Ortler, Vanoise, Silvretta, Val Anniveries and the Haute Route – as well as a many other ‘off the radar’ areas. 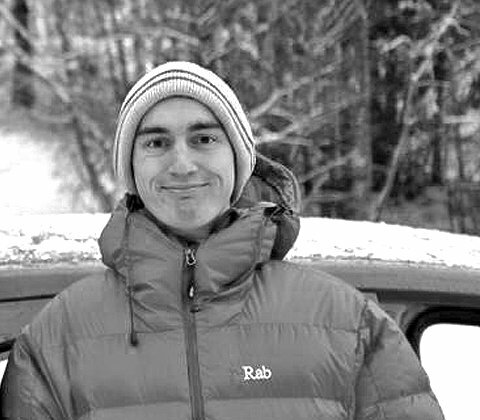 A keen mountain sports ‘all rounder’, bouldering, sport climbing, alpinism and winter climbing all feature in his Guiding and days off. Any other spare time is taken up with mountain biking where he enjoys trying to keep up with his young son Fraser! After many years living and working in the Scottish Highlands, Hannah is nowadays based in the Chamonix valley, guiding on rock, ice and ski year round. A highly accomplished mountaineer and skier, she has spent her whole life living in the mountains – her father Martin is also a guide, so it’s in the blood! Whilst spending time in the mountains, she really enjoys the challenge of finding and bringing about the best sense of adventure and learning experience for the folk that she’s climbing with from the prevailing conditions at the time. In her other professional roles, Hannah is currently the secretary of the BMG and recently edited ‘A Passion From the Mountains’ a collection of stories celebrating the adventure and diversity of British mountain guiding.